Hard to believe Easter is almost upon us, I for one look forward to it every year. Well, I look forward to the first shopping day after Easter when chocolate sales begin. Easter eggs are the most delicious chocolate and that is science fact. Enough about chocolate, I have polish for you! Mckfresh have released three polishes inspired by that wonderful Easter tradition - the backyard Easter egg hunt. Grab a basket and prepare your best grabby hands! Signalling the beginning of the great Easter tradition is The Horn. In polish form it is a true beauty - a delicate lilac with a very subtle scattered holo, stunning micro gold flecks and a wicked blue shimmer. 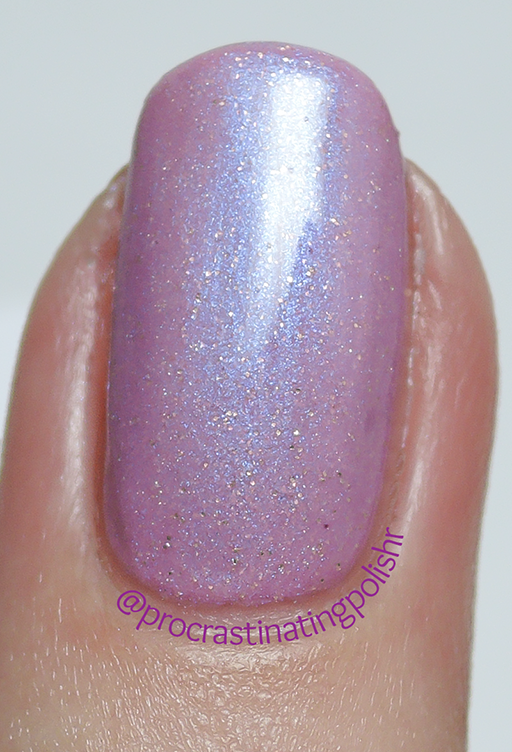 Lovely smooth formula with not even a hint of streakiness in that bold shimmer. I did three thin coats for solid coverage. The tiny gold flecks give this polish something special that I wasn't expecting until I got it on my nails. Remember to check every possible hiding place during The Hunt. You do not want to be the only one with an empty basket! Speckled micro matte glitters in white, pink, blue and yellow jammed into a creamy eggy crelly. The abundance of tiny glitters only reveal their true colours when studied up close - because during The Hunt you must be ever alert to find your treasure. The formula of the bottle I have was not great - I had a bit of trouble applying a second coat as the base had thickened after a little usage. 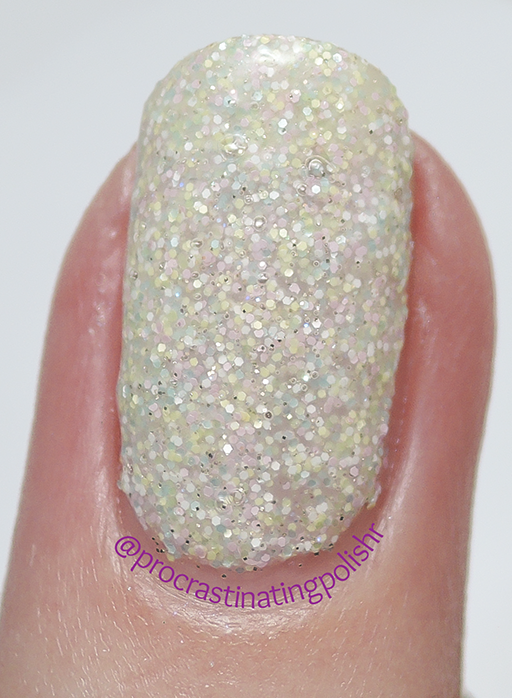 I find that it's common with a lot of micro glitter polishes, I added some thinner and brought it back to a nice consistency which still allowed me to get away with just two coats. I've given my feedback to Kate so the final formula should be easier for you guys. This will require a good thick top coat if you're after a smooth finish - sadly mine is getting near the end and bubbled on me. Boo-urns! You did it! You found the most eggs, not only do you have all the chocolate, but you get The Glory! Surround yourself with shiny foil wrappers in glee! This cute glitter topper keeps the pastel trend going with a mix of size and shapes and a very pretty champagne shimmer. I do love the green glitters in here, they stop it from being pastel overload for me. The formula is totally fuss free - I did one dabbed coat over Azure Mist (also from Mckfresh). The larger hexes required no fishing, the base had a really nice consistency for dabbing or just regular application. If you still have the itch for pastels this trio definitely has you well covered - even my desperate longing for autumnal colours was quietened after trying The Horn. The trio are available now from Mckfresh Nail Attire for $10 each, or in a special set with some bunny decals for $27.50. *The abovementioned products were provided by Mckfresh Nail Attire for review, which in no way affected my opinion of the product. Please refer to my Disclosure page for more information.